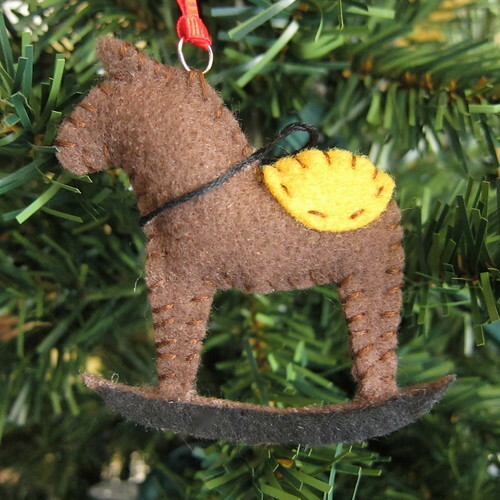 This week’s ornament is a step back to childhood, a tiny, stuffed, felt rocking horse. 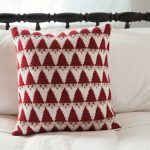 It is sewn together with just an easy whipstitch and details are glued on, so it does not require a more than basic sewing skills. I kept mine relatively minimal, but you can modify it with all the details you want, add a mane, tail or face. 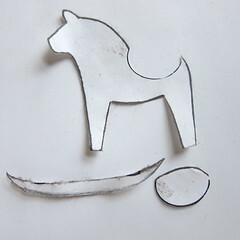 The pattern can also be easily modified to make a dala horse for those of you who like Scandinavian decorations. 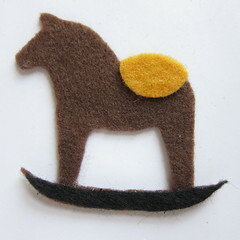 The finished rocking horse is approximately 3″ x 3″. 1. 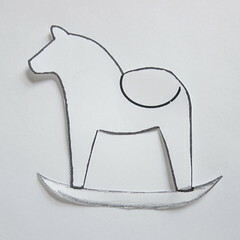 Print out rocking horse pattern and cut out. 2. 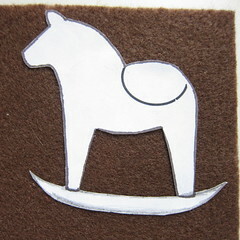 Cut two of the horse from base color. 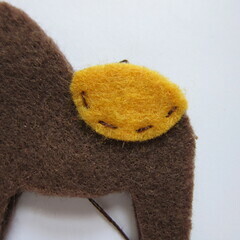 I like to stick the pattern to the felt using glue stick and then cut it out. The paper pattern peels off the fabric after cutting. 3. Cut the saddle and the rocking base from the paper pattern. 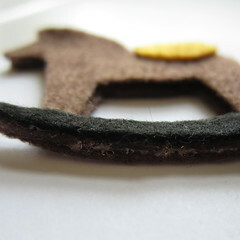 Then use the pattern to cut one of each, the saddle in yellow felt and the base in black. 4. Glue the saddle and base in place on one of the horses. This will be your front pieces. Stitch along the edge of the saddle if desired. 5. Put the two horses together, right sides facing out. Glue the base together. 6. 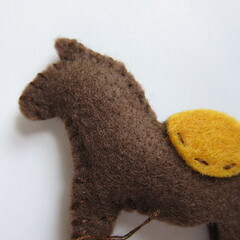 Whip stitch the horse pieces together, stuffing as you go. Be careful not to overstuff. 7. 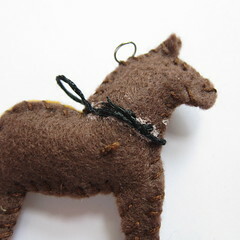 Glue a small piece of black floss around the neck for reins. 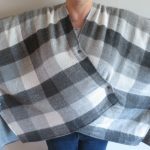 You can be messy on the back but use very tiny amounts on the front. 8. 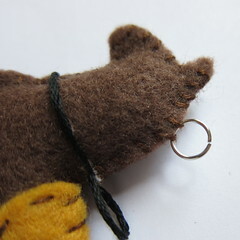 Put a jump ring through two of the stitches at the back of the head to hang. 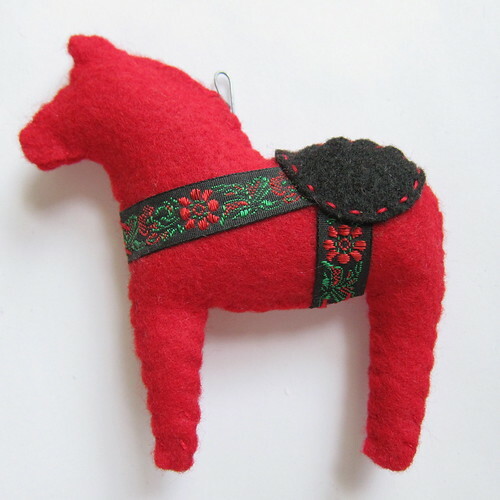 If you’d like to make your horse a dala horse instead of a rocking horse cut the horse pattern out without the rocking base. Make the horse red or blue. Sew or glue on decorative ribbon. 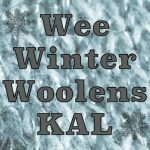 7 years ago by Kat in Advent Calendar Project , Christmas , Craft Projects , Crafts , Holiday , Needlecraft , Projects , Sewing , Sewing Projects | You can follow any responses to this entry through the RSS feed. You can leave a response, or trackback from your own site.